If your only child is born with a disease that causes constant coughing, random bouts of pneumonia, extreme weight loss and the need to live the rest of their life with the aid of an oxygen tank, how far would you go to prevent your next child from having the same deadly disease? Cystic fibrosis is a genetic disorder caused by the inheritance of a single defective gene on chromosome 7 called CFRT. (http://learn.genetics.utah.edu/content/disorders/singlegene/) How about if your child inherited the defective copy of the GALT gene on chromosome 9, causing galactosemia and leading to kidney failure, poor growth, and intellectual disability? (http://learn.genetics.utah.edu/content/disorders/singlegene/) How about sickle cell anemia? Huntington’s disease? Hundreds of diseases like these, either deadly or a constant inconvenience, have been identified as “single gene disorders”, meaning they involve mutations in the DNA sequences of single genes that result in alterations in genetic codes for proteins. These alterations then amplify through primary, secondary, tertiary, and quaternary protein structures and ultimately lead to shortened lifespans. If we could alter these genes and prevent a life of suffering, why wouldn’t we? With molecular scissors known as CRISPR/Cas9, researchers have been looking into correcting these gene defects in human embryos. Just this year, researchers were able to edit a gene that causes heart failure in newly fertilized eggs. 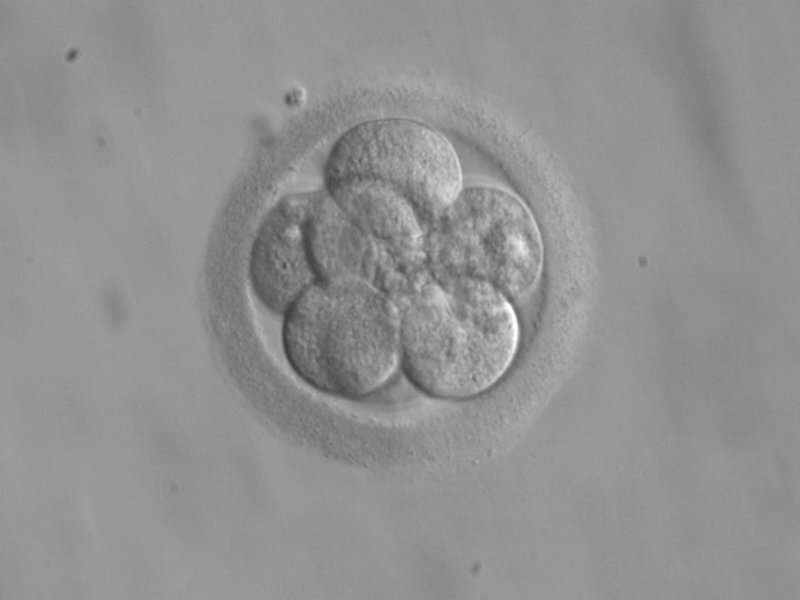 (https://www.sciencenews.org/article/crispr-gene-editing-human-embryos) People who inherit just one mutant copy of MYBPC3 can develop hypertrophic cardiomyopathy, a life-threatening heart problem. By injecting sperm and this gene editor, CRISPR/Cas9 into egg cells at the same time, all cell in the embryos were healthy. We can edit a single gene to eliminate a mutation, so why can’t we edit a single gene to add a characteristic? Why can’t we make our child seven feet tall with impeccable intellect and perfect pitch? Why can’t we create the “perfect” child? Why can’t we build the perfect human capable of surviving on a different planet, as we’ve seen in the once science“fiction” film, Gattaca? These films and articles the like often scare us with the ideas of “designer babies”. Yes, it is a possibility. China was the first to create genetically modified human embryos. In fact, in many countries, like the United States, there is no written law against designer babies. These ideas brought about an international movement of eugenics, the “election of desired heritable characteristics in order to improve future generations, typically in reference to humans” (https://www.britannica.com/science/eugenics-genetics). What’s often not advertised is just how difficult it is to actually create these “designer babies”. During research on fixing the MYBPC3 mutation, researchers found that when they injected the gene editor into the egg, many cells ignored it. Embryos instead used the mother’s healthy copy of the gene to mend the cut. Much gene editing, that may lead to let’s say blonde hair and blue eyes, requires added pieces of DNA as a pattern to guide a repair (https://www.sciencenews.org/article/crispr-gene-editing-human-embryos). If all the embryos reject these added DNA repair patterns, researchers may struggle to fix mutations in embryos. These findings indicate that embryos will often reject attempts to add new traits, showing just how difficult is would be to truly achieve the “designer baby”. Does this mean I’m saying all scientists should have free reign and snip away at any embryonic DNA they want? No, not at all. There needs to be extensive rules and regulations when it comes to gene editing, but we should not let this hinder our progress with curing genetic disease. Just 40 years ago, Louise Brown, the first in-vitro fertilized baby, was born and there have been five million IVF babies born since then. Millions of couples unable to have children overcame the impossible and now have beautiful kids to love and nurture. If we have the tools necessary to change the lives of millions just as with the IVF technology, how could we not utilize those resources? If we proceed with caution, ensuring the benefits outweigh the costs, the field of genetic engineering will bring about revolutionary changes to the way we view disease. Lily Zhong is a contributor for The Daily Campus. She can be reached via email at lily.2.zhong@uconn.edu. Is artificial intelligence dangerous to personal autonomy?